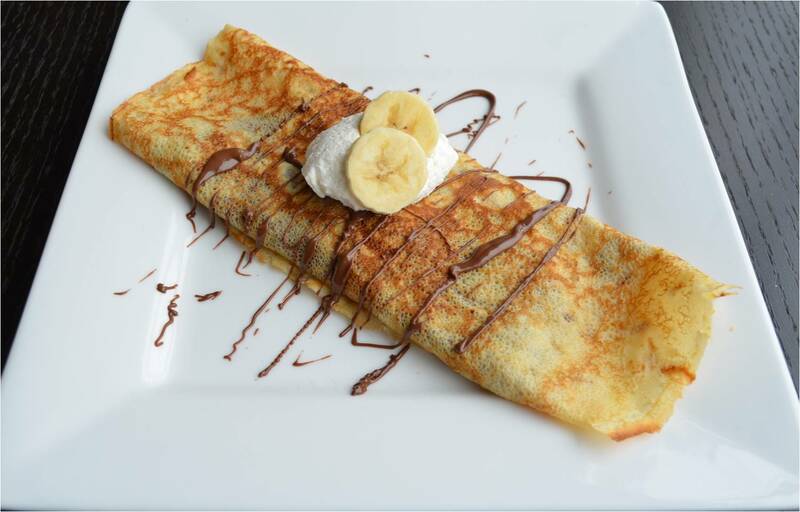 I don’t know about you, but nothing gets more fancy than crepes. I always thought that crepes were difficult to make, but once again I was wrong. 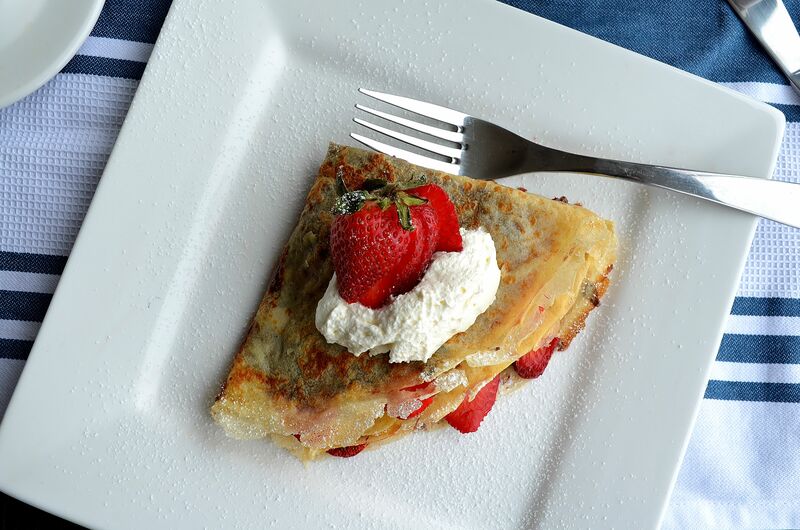 These paper-thin crepes are light and super easy to make. Just a few burnt fingertips along the way, but a small price to pay for this delicious treat. 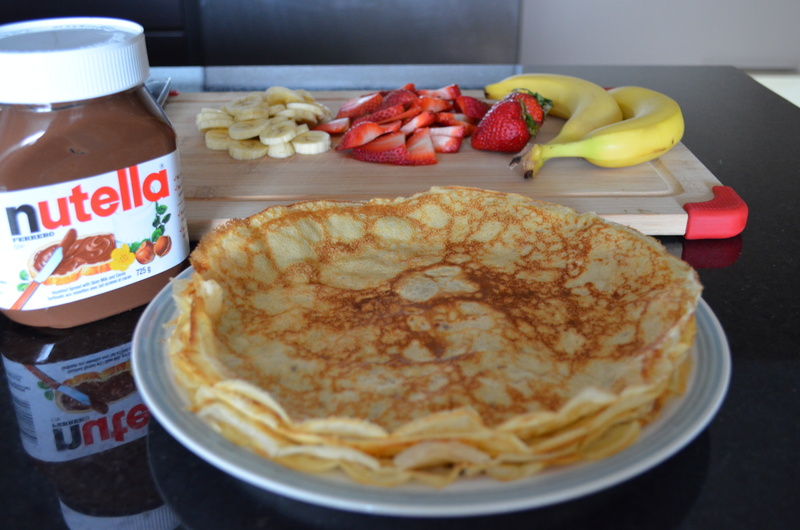 For him, I made banana Nutella crepes. 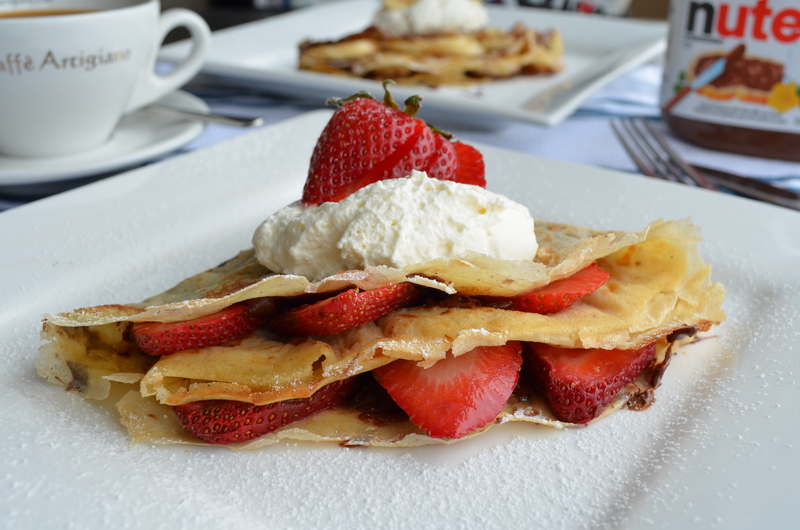 For myself, I made the crepes with strawberries. Put whatever you desire in them. Get creative with how you fold them. You really can’t go wrong. 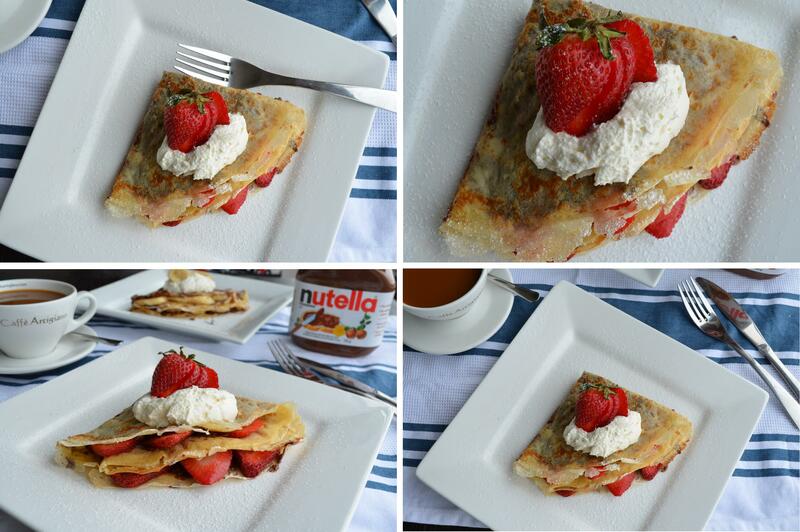 Drizzle some Nutella, top with a dollop of whipped cream, sprinkle with powdered sugar and voilà! Sift together flour, sugar and salt; set aside. In a large bowl, beat eggs and milk together with an electric mixer. Beat in flour mixture until smooth; stir in melted butter. I also added ~1/4 tsp cinnamon to make the batter (I’ve read that other people have also added nutmeg, but I didn’t have any). I added the sifted flour mixture to a blender along with the rest of the ingredients and blended a few times until smooth instead of using a mixer. I used cooking spray and wiped off the excess with paper towel instead of using oil. I used ~1/3 cup batter per crepe. The crepes are ready to flip when they start to bubble and when the edges come off the pan. The Nutella can be warmed up about 30 seconds in the microwave for easy spreading, but keep an eye on it…it can burn! Very tasty. I’d be with you on the strawberries. We love creeps on our house too. 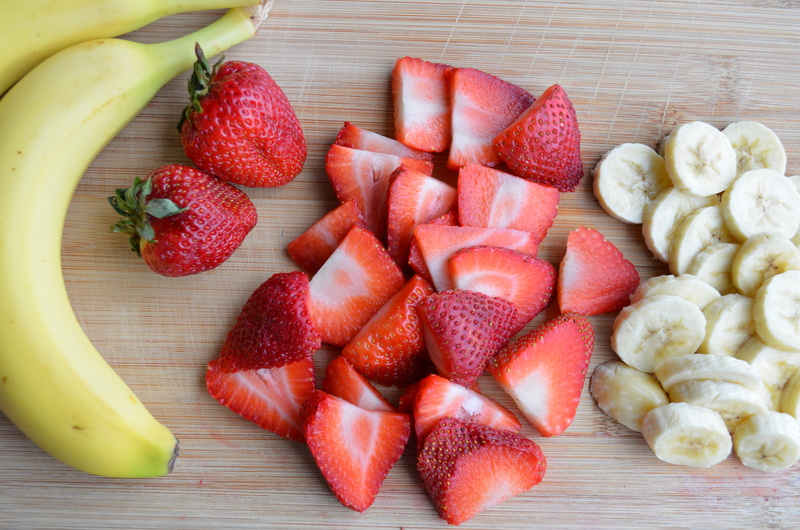 Such a simple, yet delicious treat! You cannot go wrong with Nutella! 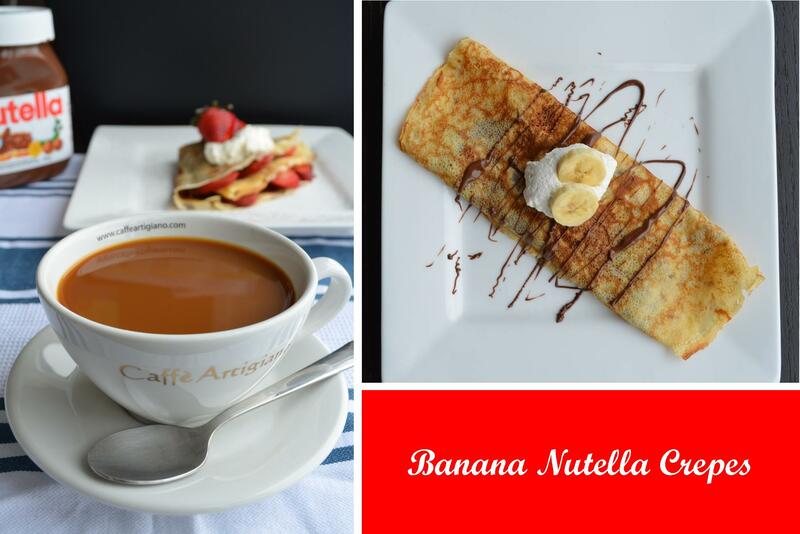 Your crepes look absolutely divine! good choice! 😉 thanks for the comment! thanks, Amy! 🙂 what an honour! Gorgeous photos! I love that your husband loves Nutella as much as I do!